Bounty hunter Dan Reno never thought he’d be the prey. When a pair of accused rapists from a New Jersey-based gang surface in South Lake Tahoe, bounty hunter Dan Reno is called in. The first is easy to catch, but the second, a Satanist suspected of a string of murders, is an adversary, unlike any Reno, has faced before. After escaping Reno’s clutches, in the desert outside of Carson City, the target vanishes. That is until he makes it clear he intends to settle the score. To make matters worse, the criminal takes an interest in a teenage boy and his talented sister, both friends of Reno’s. Wading through a drug-dealing turf war and a deadly feud between mobsters running a local casino, Reno has to hunt a ghost-like adversary who is calling all the shots. The more Reno learns more about his target, the more he’s convinced that mayhem is inevitable unless he can capture him quickly. He’d prefer it to be clean, without further bloodshed. But sometimes that isn’t possible, especially when Reno’s partner Cody Gibbons decides it’s time for payback. 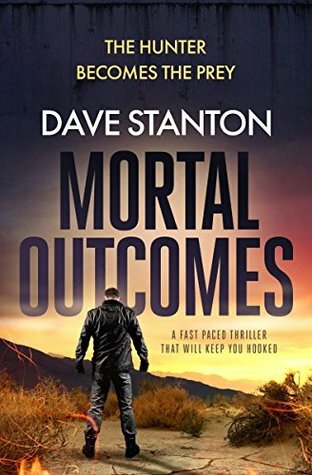 Mortal Outcomes is a fast-paced thriller full of action and adventure. 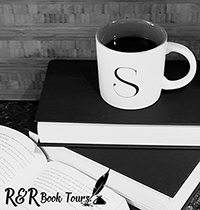 The Dan Reno series appeals to fans of Lee Child’s Jack Reacher series as well as authors like; Rob Sinclair, David Baldacci, Mark Dawson, Michael Connely and David Archer. Private investigator/bounty hunter Dan Reno is asked to bring in to escape cons from New Jersey. The first one was easy to catch but the second; he is a real work of art. A Satanist that has a list of murder victims that is not about to end any time soon. Dan has his work cut out for him just trying to find him, especially since it seems he is one step ahead of Dan. But then Dan becomes his target and things get dangerous. But this is not the only thing happening. You have a couple gangs that are giving the locals problems and make the mistake to threaten a couple kids that Dan cares about. Dan, along with help from his cop friend Cody Gibbons are about to jump into the trouble and will have to fight to get out. I loved this book. Dan Reno is a man’s man. He knows his business and has the guts to stand up and the knowledge on how to put people in their place. You have drugs, gangs, the mob, politics, and a serial killer that is smarter than your average bad guy. This book has a little bit of everything and will appeal to everyone. It is the third book in the series and although I have not read any other books from Dave Stanton I had no problem following along with this book. If you are looking for a great thriller, look no further. I received a complimentary copy of the book. I voluntarily chose to read and post an honest review. I would like to thank Bloodhound Books for the opportunity to read and share this book.